Thousands of well-wishers lined the streets of Putney this Thursday (15th September) to welcome home soldiers from an army tank regiment with long standing ties to the borough following their return from active service in Afghanistan. 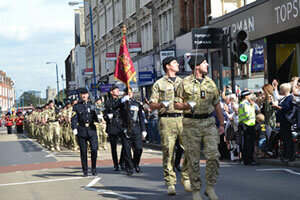 The crowds clapped and cheered as officers and soldiers from the 2nd Royal Tank Regiment (2RTR), accompanied by the band of the Coldstream Guards, paraded through Wandsworth Park and then along Putney High Street. Around 250 soldiers marched through Putney to mark their official homecoming from Helmand province where they have been fighting Taliban insurgents, providing security and stability for the people of Afghanistan and helping to rebuild a country that has been shattered by decades of conflict. The commanding officer of 2RTR Lt Col Marcus Evans said: ""The kind of welcome we have received here today is a genuine privilege. It's that kind of support that allows us to continue on our missions when things are hard and times are tough." The salute was taken by The Queen's official representative in the borough, Wandsworth's Deputy Lieutenant, Colonel Ewen Cameron. He was accompanied on the dais by the Mayor of Wandsworth, Cllr Jane Cooper and Boris Johnson. Also present was Msr Raymond Machut, Mayor of the French village of Villers-Plouich which was adopted by Wandsworth after the First World War to help fund its reconstruction. The event was also arranged so that the regiment could be officially conferred with the Freedom of the Borough of Wandsworth. 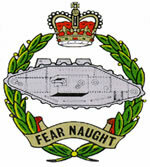 They have now become the only regular unit of the British Army to have been awarded this honour by the council. Council leader Ravi Govindia said, "This honour pays tribute to the bravery and the sacrifices that have been made over many years by the soldiers who have served in this famous and historic regiment. We are immensely proud to be associated with them." The regiment has a long historical association with Wandsworth, dating back to 1916 when tanks were first deployed by the British Army during the latter stages of the Battle of the Somme. In the very first attack in which they were used, on the strategic French hamlet of Flers, the supporting infantry was the 10th Battalion, The Queen's (Royal West Surrey) Regiment - a so-called 'Pals battalion' made up entirely of men from Battersea and raised by the then Mayor of Battersea. Following this, men of the 13th (Wandsworth) Battalion, the East Surrey Regiment, which had similarly been raised by the then Mayor of Wandsworth, provided close support to tank units in the first mass armoured attack at the Battle of Cambrai in November 1917. In the days leading up to the outbreak of World War Two, the 7th (TA) Battalion East Surrey Regiment (23rd London Regiment) - an infantry unit based at Clapham Junction, were formed into two tank battalions of the Royal Tank Regiment - the 42nd Battalion (42 RTR) and the 48th Battalion (48 RTR). Both units served with distinction, in particular in the desert campaign in North Africa. Elements of 42 RTR took part in the decisive battle of El Alamein while 48 RTR took part in Operation Vulcan - the final decisive push to eject the enemy from north Africa. The battle colours of 48 RTR are now preserved at St Mary's Church in Battersea. After the war, both units were re-formed to create 2 RTR, which has since seen active service in Cyprus, Northern Ireland, Bosnia, Kosovo and Iraq as well as in Afghanistan. Its historical ties with the borough mean that the regiment continues to actively recruit its officers and men from the borough. 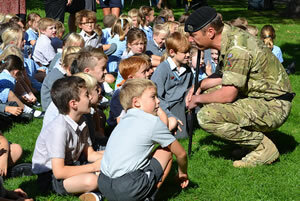 Over the past eight years the regiment has completed ten tours of duty in both Iraq and Afghanistan. Today's celebrations also took place on the 95th anniversary of the day in the First World War when tanks were first used in battle.